Fairfax County Public Schools (FCPS) is finalizing the details of an updated Capital Improvement Program (CIP), giving a look at what the future holds for the Tysons area. 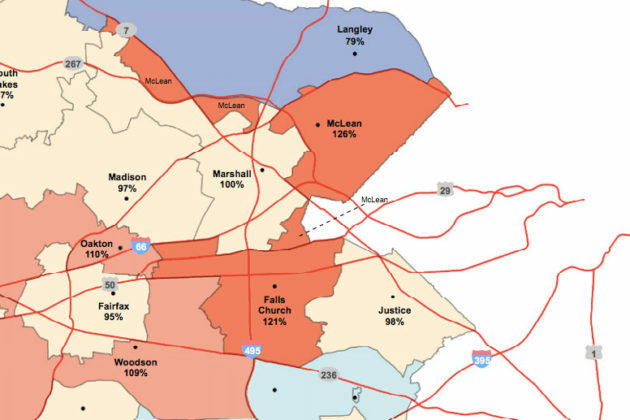 While total student population in FCPS has gone down by 1,011 students this year, projections show schools in the Tysons are becoming increasingly crowded. One of the most immediate concerns for the region is overcrowding at McLean High School. At a Jan. 14 work session, School Board Member Jane Strauss called for a limited boundary study to move students from Longfellow Middle School and McLean High School to the nearby Cooper Middle School and Langley High School attendance area. Strauss said the change would impact students currently zoned for Spring Hill Elementary School. The change would also not take place until school year 2020 to allow more discussions with parents and planning. But the proposal received some pushback from other members of the School Board, who said they were uncomfortable with a spot-boundary change a month before the School Board is scheduled to begin a broader review of school boundaries. “Before we talk about individual boundaries, we do have scheduled as a School Board to [take a] holistic [approach] to how we look at boundary changes,” said School Board Member Karen Sanders. The School Board is scheduled to vote on the CIP on Jan. 24 and begin looking at boundary changes on Feb. 25. Dalia Palchik, School Board representative for the Providence District and a candidate for the Board of Supervisors, also said the idea of adding the boundary change 10 days before the School Board votes on the CIP gave her pause. Palchik also inquired about the proposed Tysons Elementary School, a facility planned to help handle new residential developments in Tysons, but one that is currently unfunded with few details publicly available. 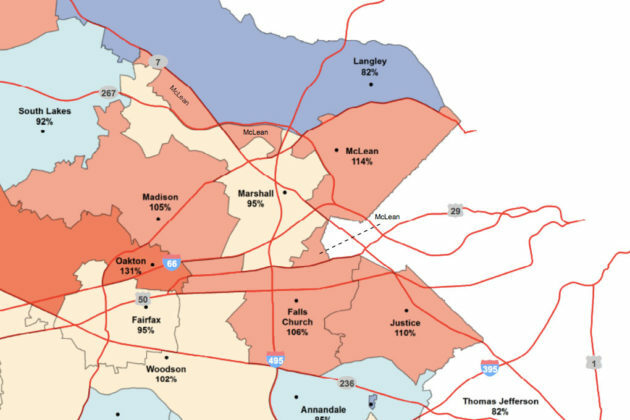 McLaughlin said this happened for a smaller development in her area, but was concerned that as new development comes into areas like Tysons and McLean, the impact of those enrollment projections being off could magnify.